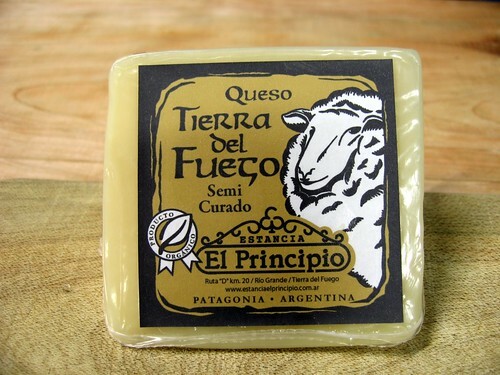 Last weekend, this little wedge of cheese with a sticker screaming Tierra del Fuego immediately caught my attention while I was walking up to counter of a local gourmet shop to order a platter of cold cuts. For years I have been wondering why it has been so hard to find sheep’s milk cheese on an island where sheep must be numbered in at least 6 figures. I wondered if my eyes were deceiving me. Sure enough, in small print, the labeled told me that this cheese comes from an estancia close to the center of the province. You never know, Francois Lurton produced a selection of wines labeled Tierra del Fuego that came out of Mendoza. 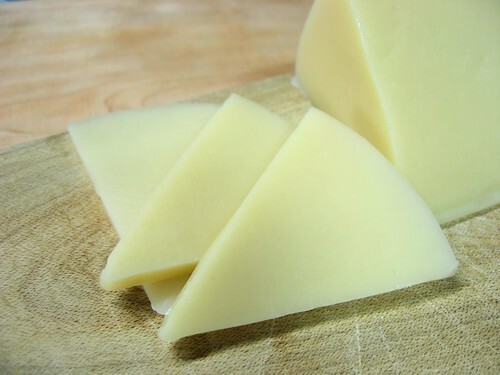 Notes: Somewhat similar to a young Manchego cheese. Very mild with a noticeable milky flavor. Quite creamy and finishes off with a slight tang. Oily external layer at room temperature. I’ll have to look into whether or not I can make a journey out there to visit their operation. I stumbled across an article that mentioned them producing soft or semi-soft cheese made with raw sheep’s milk. That would be interesting to try.